Moving to the UK - Compare International Movers & Save up to 70% ! Regardless of where you are planning to move overseas to in the United Kingdom, the moving companies listed on Intlmovers are professional and experienced in home and business relocation. 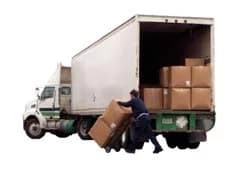 They will help you with the organization and the transport of your household and professional goods. To avoid much of the stress associated with a move, Intlmovers can help you find the right moving and shipping company to suit your budget and your needs. 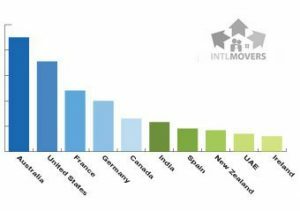 Compare offers from up to six international moving companies – completely cost free and obligation free! What your should know about.. The cost of living in the UK is overall high, especially in the London area. Costs that are average or low compared to other countries are clothing, education, healthcare, going out to dinner, sports and hotel costs. Getting things for your home like furniture is of lower costs in the UK compared to other countries. Groceries are overall cheap e in the UK, it depends highly on where you shop and in which area you live. Some basic needs in life such as housing and accommodation are of high cost in the UK. The houses in the London area are overall highly priced. This includes costs for electricity, fuels or gas, water, and taxes. Transportation is not cheap as well. If you live in the London area, taking the subway or ‘the tube’ is the cheapest way to travel. Communication costs such as telephone costs and internet are not cheap in the UK compared to other countries. General service costs are high as well in the UK, for example if you need a plumber. By comparing quotes for improving your home you can save money. There are a lot of international schools in the UK to choose from. Some of theme are completely orientated on children coming from America or France. We advice you to pick a school 9 to 6 months prior to your international move to the UK. Most of the schools are located in the London area. Here is a complete list, the schools with a good are accredited. On some websites you can also calculate your approximate amount of points. In that way you can see your possible chances before your application. Applicants for this visa type must be obtaining a job offer from a company in the UK. If you don’t have a job offer, you might consider fitting into the Tier 1 scheme. The Tier 3 visa is generally for temporary migrants who will start a seasonal job in the UK. For an application for the Tier 4 visa, the student has to be in the register of a British university or educational institution. This visa is for young people who wish to come to the UK and experience British life. Each year the government announces several countries and places which are participating in this scheme. Young people from these countries are allowed to travel to the UK. In this case your government will be your sponsor for this period of time. If you are a citizen of the EEA or Switzerland, you don’t have to apply for a visa. To be able to identify each individual, for organizational and tax related reasons the UK government demands that every immigrant apply for a National Insurance Number (NIN). Furthermore the authorities “HM Revenue & Customs” and “Department of Work and Pensions” need your NIN to be able to follow your accomplished contributions. For that, you need to arrange an appointment with the “Job Centre Plus”. It doesn’t matter from where in the world you are, and where in the UK you are planning to move. The moving and shipping companies on Intlmovers will take care of your move – either overseas or cross country. Thanks to the professional moving companies, you don’t have to worry about transporting your household goods to your new home or business. You can save yourself a considerable amount of time and energy when you use Intlmovers to help you with your search for a moving company for your UK move. You can select from up to 6 moving companies that you would like to compare. You will contact all of them and request offers from them at the same time with only one click.